If you’re a fan of Unearthly, it should come as no surprise that Cynthia Hand loves the Anne of Green Gables series. Tucker calls Clara “Carrots,” after all, which is what Gilbert Blythe called Miss Anne Shirley! Anne took this to be a torment, and only later discovered that Gilbert meant it affectionately–and that he only teased her because he liked her. Not unlike that other literary couple that we love. When we asked Cynthia to tell us her favorite romantic book scene for our Literary Swoon feature, she made us tear up a little bit with her choice. If you’ve ever felt the agony and despair of recognizing a missed opportunity when it’s too late, you just may tear up, too. My favorite romantic scene is in Anne of the Island, from the Anne of Green Gables series. I sniffle just thinking about it, where Anne thought Gilbert was dying. Sigh. Anne stood quite silent and motionless, looking at Davy. Her face had gone so white that Marilla thought she was going to faint. “Is — it — true?” asked Anne in a voice that was not hers. There is a book of Revelation in every one’s life, as there is in the Bible. Anne read hers that bitter night, as she kept her agonized vigil through the hours of storm and darkness. She loved Gilbert — had always loved him! She knew that now. She knew that she could no more cast him out of her life without agony than she could have cut off her right hand and cast it from her. And the knowledge had come too late — too late even for the bitter solace of being with him at the last. If she had not been so blind — so foolish — she would have had the right to go to him now. But he would never know that she loved him — he would go away from this life thinking that she did not care. Cynthia Hand is the New York Times bestselling author of Unearthly and Hallowed. If you missed our epic interview with her last month, you can read it here and here, or join the ongoing Hallowed discussion here! Keep up to date with Cynthia’s latest book and tour info via her blog, GoodReads, and Twitter. The third and final book in the Unearthly series will be out in 2013. 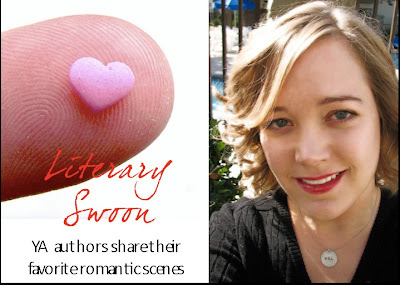 Check out the rest of the Literary Swoon series! Kinslayer (The Lotus War #2): Cover Reveal and Giveaways! Katja Millay on Her Journey from Self-Publishing to Traditional Publishing + Sea of Tranquility giveaway! AHHH. I have the first 6 books in the Anne of Greene Gables series but I’ve yet to read them. I think this will be my motivation to pick them up. Thanks for the post, Wendy. I hope you get a chance to read them soon, Sagacity! Talk about romantic swoon. :) Look forward to hearing what you think when you get around to them. I just had to reread Anne of Green Gables for my YA Lit. class, so my interest in reading the sequels has been renewed! I definitely have to finish this series. Anne is such a fantastic character! it’s a nice excerpt, but I still didn’t know about this book. (yeah I know I’m such a lost case lol). thank you so much for sharing this one with us! Lovely scene – I’ve never read any of Anne of Green Gables – sounds like I need to rectify that! Awwww!! Anne of greeen gables! i love these!! Ah this is one of my fave childhood stories and I too fell in love with Gilbert and Anne. Anne of Green Gables is one of my favorite books! Hand’s choice made me more excited about Unearthly than I already am. I still need to read Hallowed, though! What a heartbreaking scene! 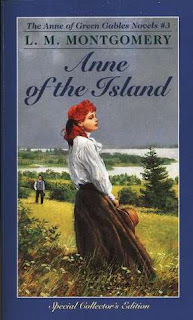 I never read Anne of Green Gables, but inhad a friend who was obsessed w/it when we were kids. Now I know why. Thanks for a great feature! -.- Wendy! Tsk tsk. And Cynthia! Don’t make me sniffle like that! Slay me why don’t you! I think Gilbert might have been my first literary crush, if you don’t count Christoper Doll (and please forget I even mentioned him). Yes, that is such an emotional scene! Now I want to race home and read book one. Love Cynthia Hand! I have not read the book she picked but I love the sound of it! I loved Anne of Green Gables as a girl. I should revisit them soon! These posts are so great! This has been such a fun series of posts. Oh Cynthia picked a good one. I can’t wait to share the Anne books with my daughter when she is older. Oh Sam! Anne of Green Gables is so lovely, I hope you have a chance to read them soon. If you enjoy classic literature, they’re must reads for sure. Gilbert is very, very ill and almost dies…but yes, he does recover. :) As to whether he and Anne get together, though, you’ll have to read the books to find out! Well,*wipes eyes* at least this post had a bit of warning. I do love Anne! Wendy this Literary Swoon idea was excellent!!! I thought this one could do with a bit of warning. ;) Thanks Rebecca! Awwwwwwww great choice. I NEED to read this.